MESA 1.1 is Out ! MESA 1.1 is out, you can download it on the installation page. Today Jorge Jimenez shares some works at the Activision Research and development branch industry. 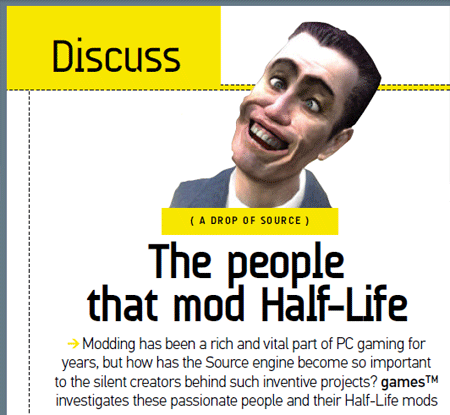 The directors of the mod project, Jurassic Life, had been interviewed to bring their vision about the Half Life modding scene. 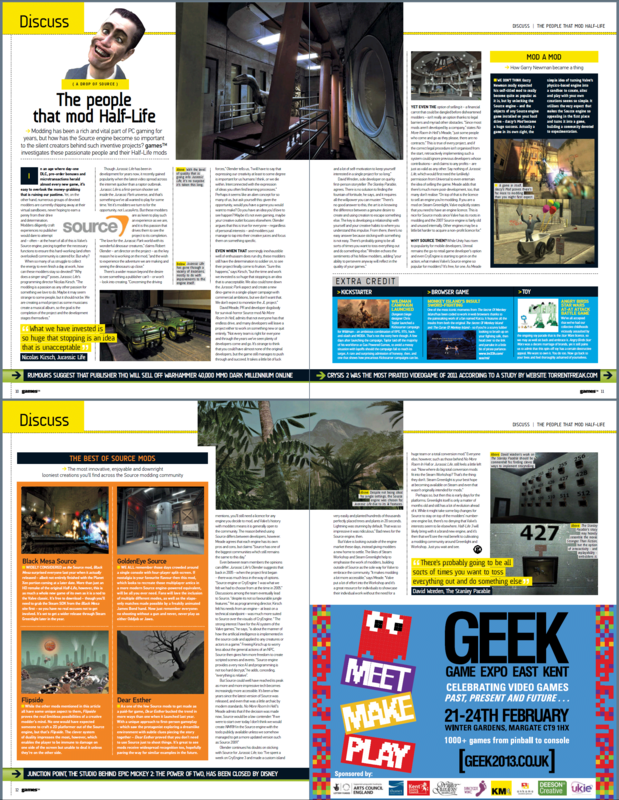 Myself and Robert Olender, Directors for the Mod Project named “Jurassic Life”, had participated to this interview who has been published into the londonian magazine “Games TM” (N° 132). Click on the picture to read and enjoy the article. I hope I got the right to post the article here, but anyway I post it. I had to thank, Adams Barnes that has directed the interview . Also I want to thank the participants, David Meade (“No More Room In Hell”) and Davey Wreden (“The Stanley Parable”) for their words about the game modding . Hello mate, i would like to share my good feeling about what the medias coverage about the project I work on. A special thank to Brian Altano and his team about the IGN news report, they made. It was fun to see you in the suit of Denis Nedry. There is so many web site I would like to thank too for the coverage. and the hundred of web sites who has posted the teaser and contribute to make the buzz. I had to post something here about the teaser that we had posted about the main game project I working for.